Services - Rustique Rentals and Event Design | Boise Vintage Wedding Rentals, Planning and Photography Props! 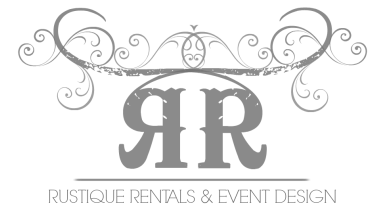 Rustique Rentals & Event Design provides services to the Treasure Valley and surrounding areas. We offer superior styling using one-of-a-kind handpicked authentic pieces, including Vintage and Rustic Furniture and Props. Whether you’re the bride, an event planner, a photographer, or someone throwing a party or shower, Rustique Rentals is here to dress your event with our unique rental items. Our goal is to help you have an amazing and uniquely designed event that won’t cost you an arm and a leg. Let us help you create an enchanting look that will add that special touch to your event. We know how important your event is, and how busy it can be leading up to the day. Let Rustique Rentals provide delivery, set-up, and take down of your rental items. Let's work together and ensure that your favorite pieces are where you need them, when you need them! Delivery rates vary as each event is unique. Contact us for a custom delivery quote. Free consultation to discuss the details of your event and the vision you wish to create. Recommendations of rental items for your event. We will work to maintain your budget. Site visit to your event location to finalize details. Delivery and Return of all Rustique Rental items the day of your event. Complete setup and breakdown of all Rustique Rental items at your event. Contact us to learn more about our Event Design packages. If your heart is set on something in particular but it’s not part of our collection at this time, feel free to contact us for a custom search or custom build. We love a good treasure hunt to find you that fabulous new vintage piece! And owner Jennifer Taylor isn’t afraid to get her hands dirty and build you that custom piece your heart desires! You’ll even have the option to purchase your custom built piece! Contact us to learn more about our Custom Search and Custom Built Pieces.